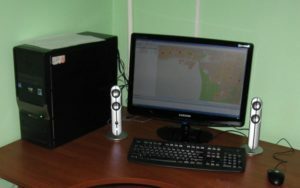 On the 24th of November 2010 specialists “System Service” performed launch of an automatic traffic control system for the municipal compane “TSODD” in the city of Penza. At the first stage 60 traffic controllers were connected to the system, so in real time, it is possible to monitor their work and respond quickly to any abnormal situations. In addition, there was already started works to implement a coordinated traffic signal control “Green Wave” on the main routes of the city. This will raise the capacity of city transport network and reduce machine downtime in traffic jams. System’s operation was demonstrated at the exhibition “Electronic Penza” that took place on the December 2-3 . At a joint stand with the company ER-Telecom visitors could see the operation of ATCS control center and compare it in real-time with controlled traffic light object using web-cameras.